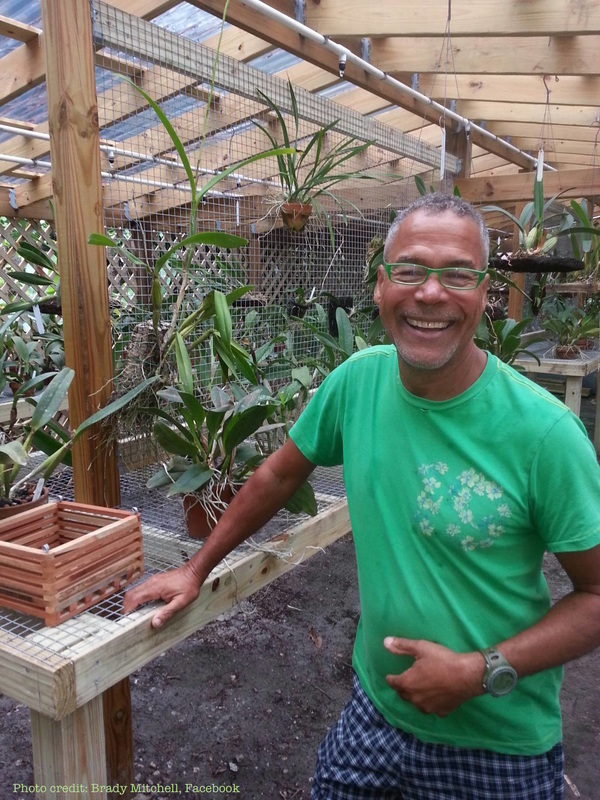 Tony Millet has been growing orchids for 30 years, hybridizing orchids for 20 years. He enjoys making hybrids using hard to find, rare, or different color forms of species. He recently moved to Florida from New York where he grew and cultivated plants that were cool to intermediate, Dendrobiums, Masdevillia, Encyclias and Sophronitis. He is presently breeding intermediate to warm cattleya alliance hybrids using other color forms than typical (lavenders and purples). Tony was twice awarded AM/ AOS on 2 species to date, about 30 RHS registered hybrids! 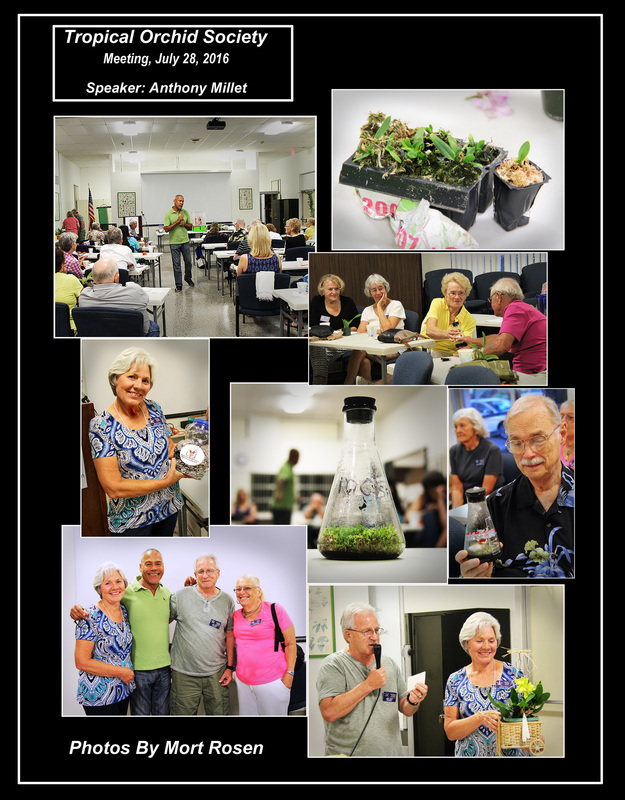 He is a Volunteer hybridizer and seedling grower at The Bonnet House in Fort Lauderdale, Florida. He was also Past President and Editor of Suffolk Orchid Society, Long Island, New York. 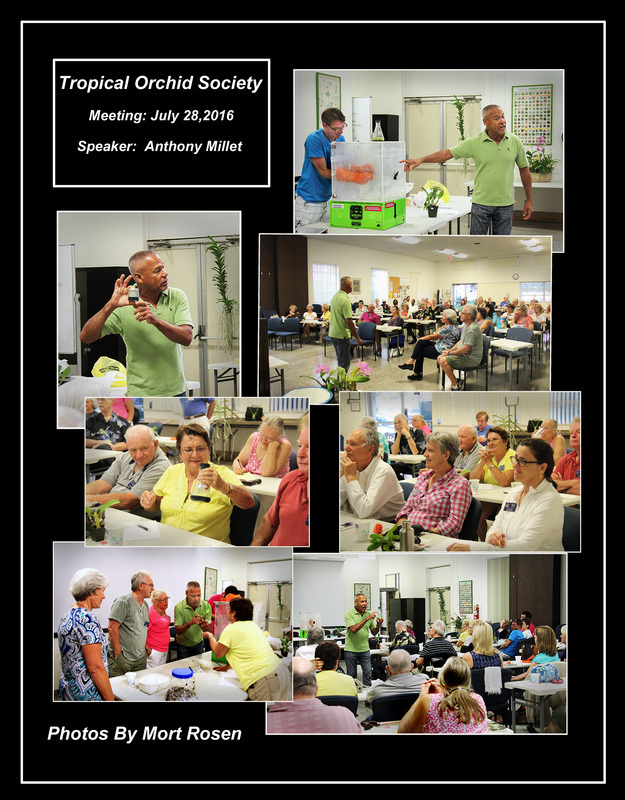 Below, Tony Millet in action, teaching us about hybridizing and growing from Seed.